I had a Green Acres moment last weekend. We headed out to the country so Matt could help on the set of his brother's movie. 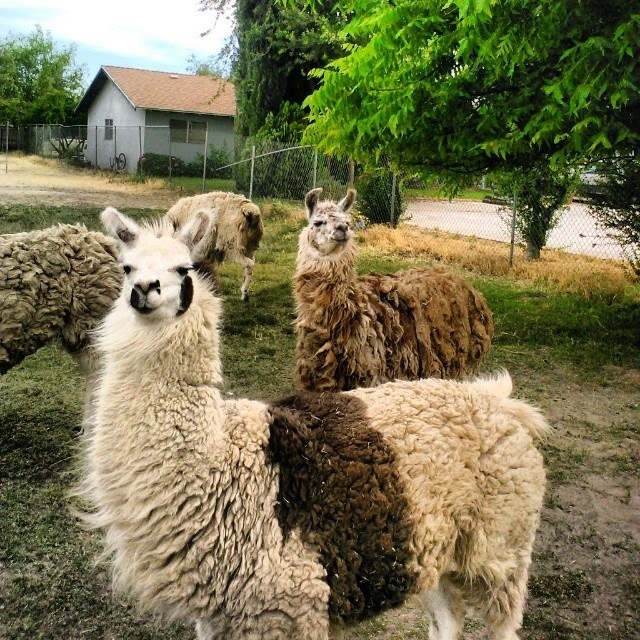 Since we went there a month or so ago I knew there would be llamas on the route we took. I told Matt that we better stop this time - or else!!! We did and look at these super cute furry pals!!!! Eeek! I love llamas, they're so adorable!